There is rarely the need the throw a canvas away. Obviously there are times when it has been so overworked, we need a fresh, new and inspiring canvas, but in the majority of cases a canvas can be worked on again. 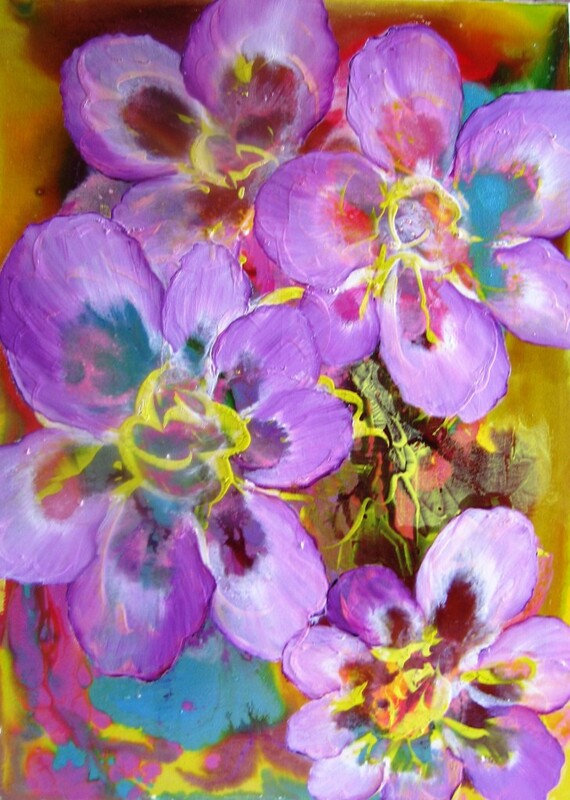 Layer upon layer of paint, whatever the medium, creates texture, vibrancy within the colours and depth. This is my latest painting – ‘Magnolia Heaven’. There are several layers to this painting to enable the brightness of the flowers to reveal themselves clearly and with clarity without become smudged or lost within the thickness of the paint. Liquid clear and linseed oils are wonderful for applying to a dry canvas so that oil and a complete scene can be reapplied over and over again. Even acrylic and pastels can be drawn and painted on top to create some interesting effects. Give it a go and see what you come up with.